Do you want your learners to attempt the same questions until they achieve a pass mark? No, right? How about creating a random quiz which ensures your learner will receive a new set of questions when he takes the quiz again? This goes a long way in keeping the quiz “fresh” and helps evaluate the comprehension of your learners effectively. So, having random questions in eLearning is a definite advantage. Isn’t it? 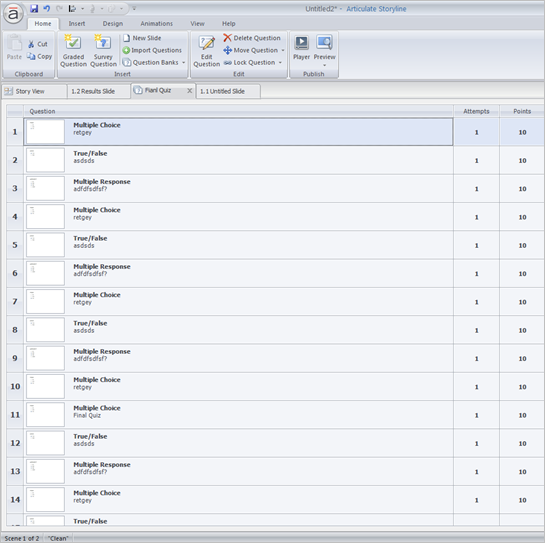 Let’s now see how we can randomize questions using Articulate Storyline. 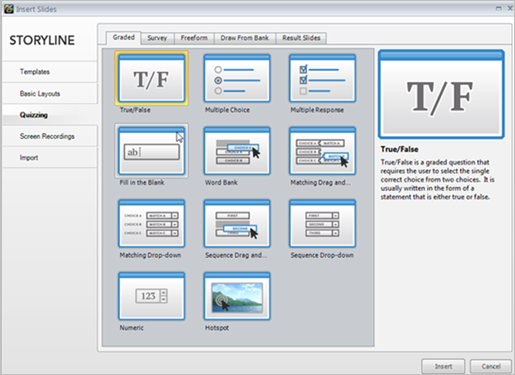 When you open the rapid authoring tool, you can see the Question Bank button. Click it to create a new question bank. A window will appear asking you to create the new question bank. You can rename it, if you wish. When you click the OK button, you will get the options like graded, survey or import the existing questions. I added 20 questions of graded type to the question bank and named it as Final Quiz. 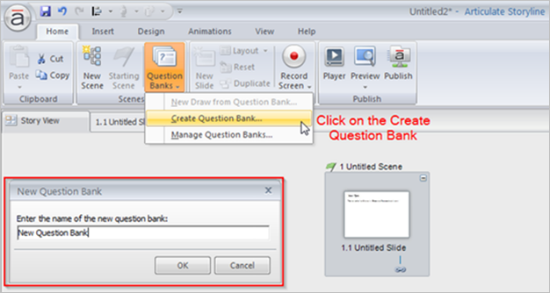 I added this question bank to the course using the option New Draw from Question Bank. Here, a window listing the properties of the quiz is opened. 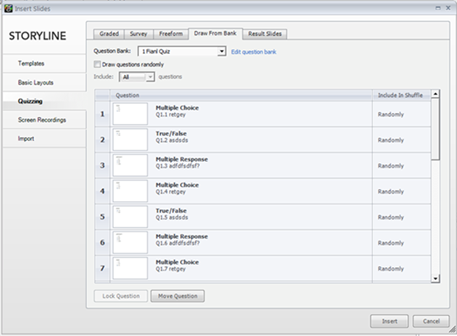 Here, you can see the options which pertain to randomization and limitation of questions. In the above screen, you can see, I have selected the option All, which means I have imported all the 20 questions in the Final Quiz. Now, I have selected 10 questions to be appeared and to be randomized in the Final Quiz. I selected the option randomize the questions in the Final Quiz. The highlighted parts in the screen shot below show the settings for randomization and limitation of Questions. 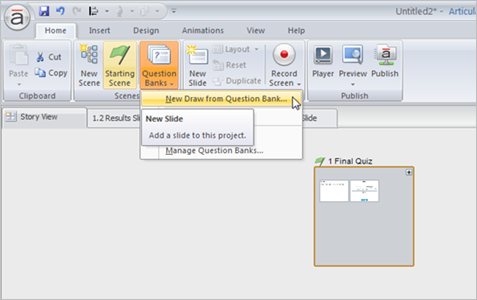 This is how you can add random quiz questions to your eLearning course using Articulate Storyline. Hope you find this blog useful. Do share your views. How to Enable Retake Quiz Option in Articulate Storyline?